This synthetic hemp rope is perfect for use as decking rope, or decoratively in the garden. 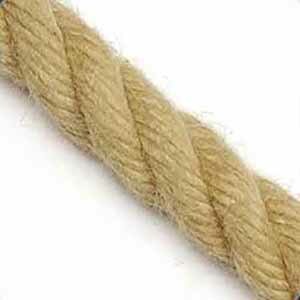 Synthetic hemp is also known as polyhemp rope or hempex rope. It's been made to look and feel like a natural fibre rope but with the added benefits of being weather resistant. 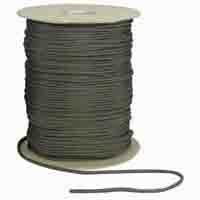 Here you can find our larger diameter ropes, suitable for use as decking rope but if you need smaller diameter polyhemp rope just click here to see all sizes of polyhemp rope..
Hardy Hemp is a popular choice for decking rope projects. 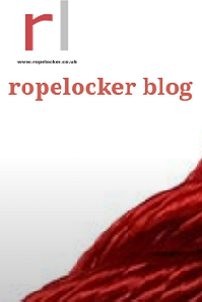 A synthetic fibre rope which won't rot or snap like natural fibre ropes of the past. 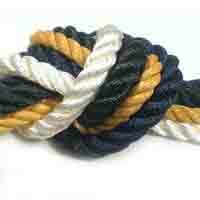 It looks and feels like a natural fibre rope, giving that nautical look that every new deck deserves. 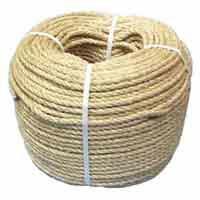 Hardy Hemp is available in a range of diameters giving you the choice of a rope that is slim and stylish or chunky and sturdy to hold. 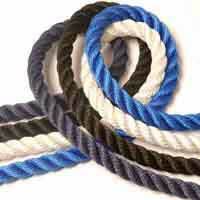 You can choose to add a variety of spliced finishes to the ends of the rope to suit your project. If you have any queries, please do get in touch. 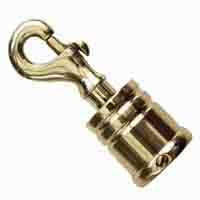 We also sell a range of rope brackets and rings for use with this rope.